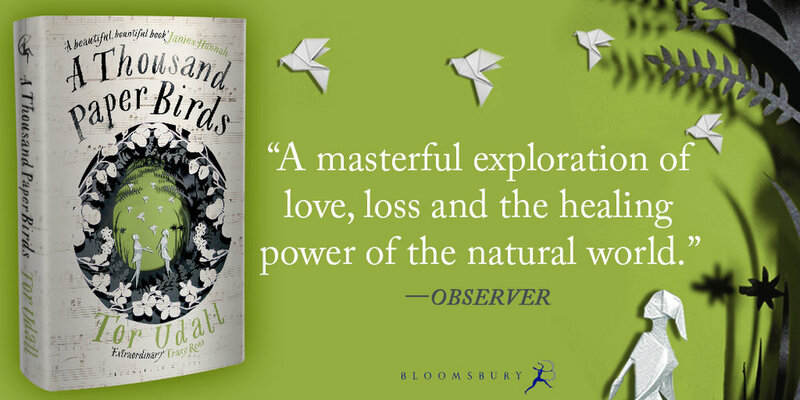 Summary and reviews for debut novel by Tor Udall - A Thousand Paper Birds. As the truth of Audrey's death unravels, the characters learn that stories, like paper, can be refolded and reformed. Available from Amazon UK, Bloomsbury, Waterstones, Foyles, The Book Depository, Amazon USA and local bookshops. Also available on Kindle and Audible.